There are questions I get asked all the time as a blogger and as a homeschooler. I thought I would use this week's letter to go over some answers to those questions! 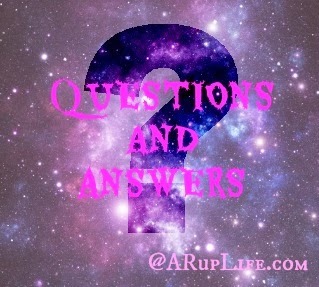 If you have a question please leave a comment and I will try to answer it as well! Q: How do you start homeschooling? A: I start with knowledge. First thing you should do is find out the homeschooling laws for your state. Surprisingly each one is very different! I suggest joining and getting information at HSLDA. A: Yes and No. It is hard work. Anything you have to work at isn't easy but it is very rewarding and fun too. It is my calling and I'm thrilled to do it even on the VERY HARD DAYS! A: Blogger.com lets you make a free blog and it is really easy to start. I've had this blog since 2009 although it wasn't always active. Q: Any blogging recommendations for a newbie? A: Get your free site and buy your dot com site. After that start posting material. The more the merrier. People don't want to follow a site that has no content. Q: How do you get stuff to review? A: I get asked this one all the time. There are many places but the big thing is to have an active blog with regular content. There are many review teams and I even have companies contact me directly with product. If you would like to review things I suggest you do a few reviews of things you regularly use to see what format fits your style. I hope this Q & A gave you some insight on the two subjects. 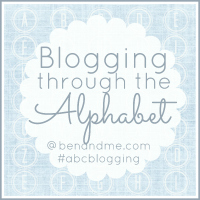 This post was part of Blogging through the Alphabet at benandme.com.